Home / How to top up Good TV? Take a picture of SMC barcode or note down all 16-digit SMC code on upper right corner of set top box. 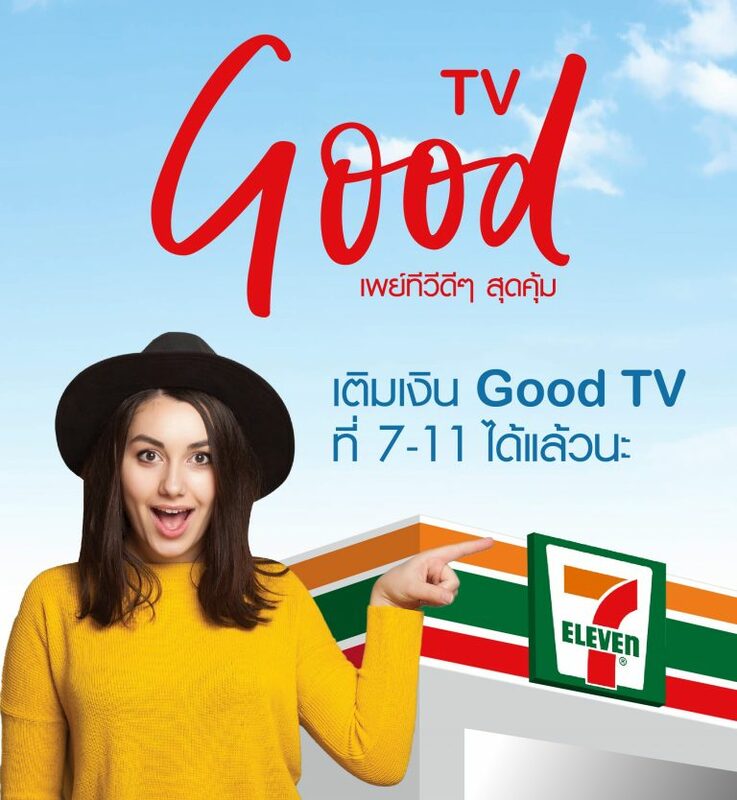 You can start top up Good TV at 7-eleven or counter-service. Give instruction to cashier to scan SMC barcode from phone or input 16-digit SMC code. Input your registered mobile number into card reader. Choosing to pay according package available. Membership only at 300 Baht a month. *Not include TAX and service fee. Wait for payment SMS confirmation. Ready to enjoy Good TV.